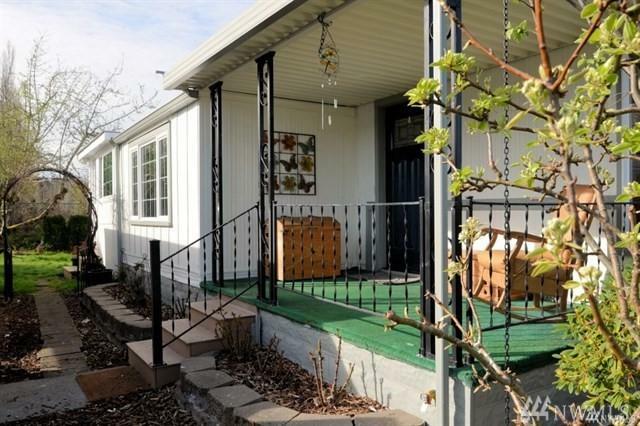 Updated-Desirable home in 55+ Park! 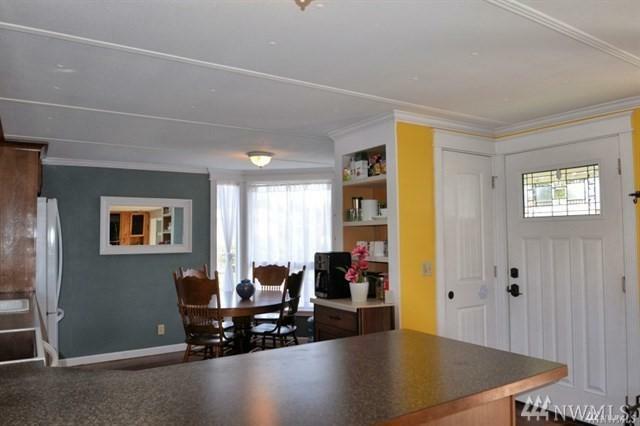 Large front Porch, Carport, (2) Sheds, Partial Fenced lighted Dog Area, Grass yard-fruit trees, Sun porch off 2nd bdrm. 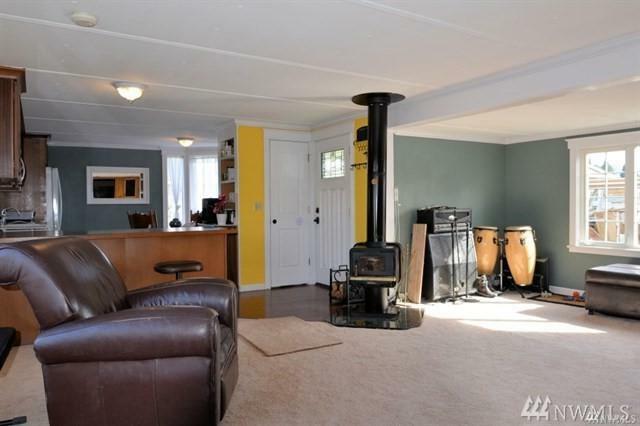 Huge living room w/ Wood burning Stove! 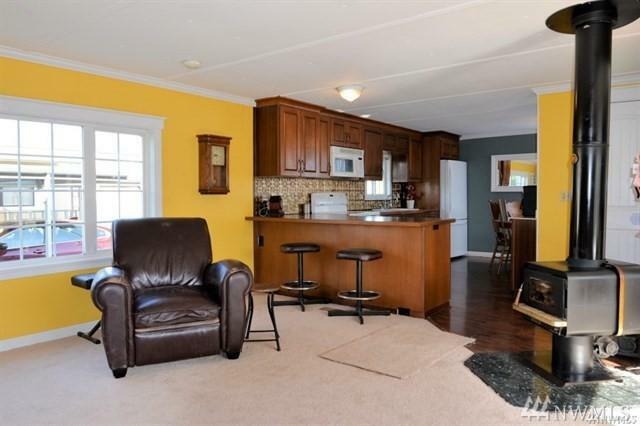 UPDATED: Dbl Pane Windows, Larger Interior doors, Walk in Tile Shower, Custom Ent. Center. New Living RM carpet, New Elec. Panel, Exterior Paint & Roof Sealed (all) 2018. Backed to Private Green belt, Close to shopping/walking trail and Down Town! Pets allowed w/restrict,Water/Sewer incl.in space rent.